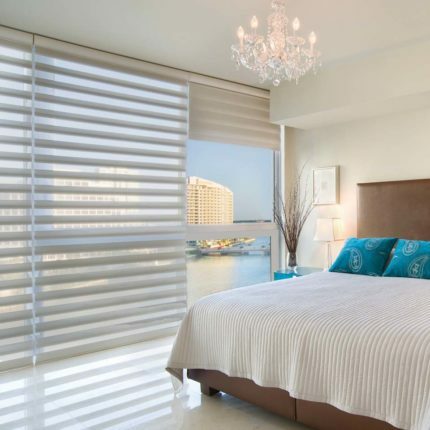 Sheer window treatments transform ordinary sunlight into extraordinary room ambience and beauty. 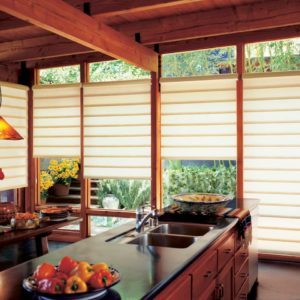 The Hunter Douglas sheers collection is made with a wide selection of soft fabrics, including opaque, translucent, semi-and room darkening materials. Silhouettes feature the Signature S-Vane™ and are available in a wide range of beautiful fabrics, including casual linen, woven and light dimming materials. 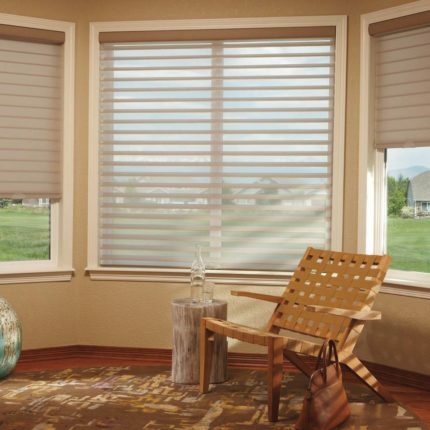 Silhouette shadings is part of our Alustra collection. 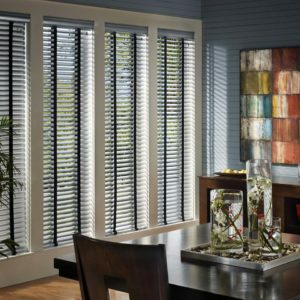 Silhouette® window shadings, with the Signature S-Vane™ , magically float between two sheers and diffuse harsh sunlight. 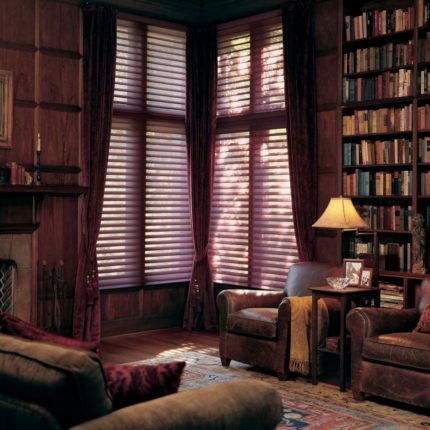 Simply tilt the vanes to achieve your desired level of light and privacy. Available in the innovative Duolite® option! Pirouettes are made of soft, horizontal fabric vanes attached to a single backing and control light in an entirely new way. The vanes appear to be floating, drawing natural light into your room. When closed, they look just like a contemporary shade. 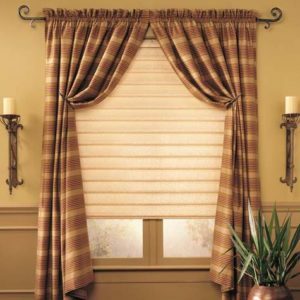 Luminettes marry the beauty of sheers with the privacy of soft draperies and are especially suited for larger, rectangular windows and sliding glass doors. The seamless, contoured fabric columns create traditional elegance. Available in a full panel of fabric or a dual panel that combines drapery fabric with privacy sheers. Nantuckets have the ability to transform harsh sunlight into gentle, diffused beauty – all while maintaining outside views and indoor privacy. 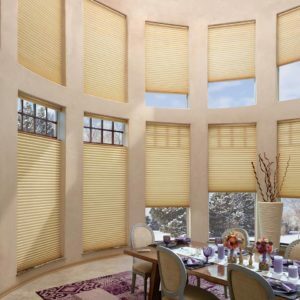 Nantucket™ shadings offer a streamlined selection of operating systems and soft sheers. 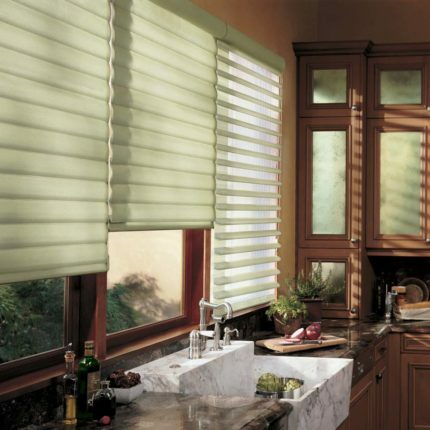 Both stylish and sensibly priced, these shadings feature 3″ vanes that tilt for effective light control. 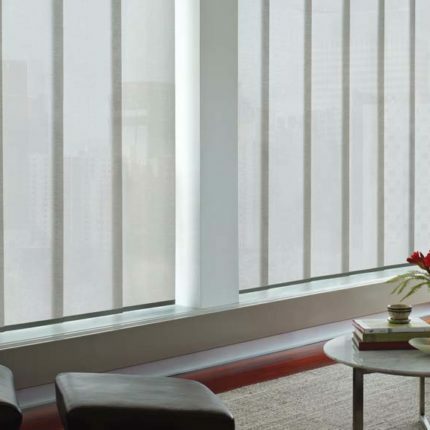 Skylines feature clean lines and a sleek contemporary look, offering the perfect sliding window panel solution for both large and small window expanses.